Thank you from your BNSA! Nominate your fellow outstanding Boucherians today! Want to recognize a fellow Boucherian who is excelling outside the classroom? From Community Service to Research, Boucher students are continuously exhibiting their mastery of a diverse group of subjects, and in doing so, demonstrating their commitment to the practice of Naturopathic Medicine. 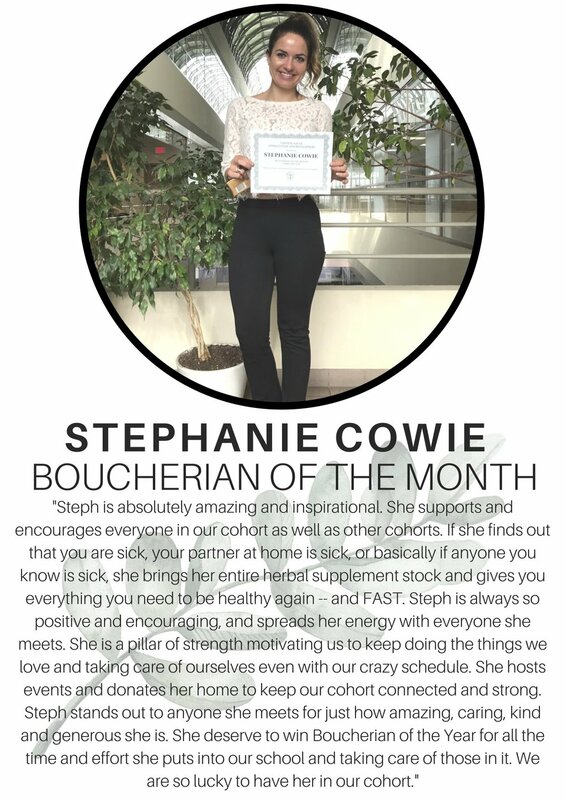 As part of an initiative to facilitate extra-curricular life at Boucher, and to recognize the work of our incredible students, the BNSA has created a Monthly Recognition Board & will award a "Boucherian of the Month" certificate of recognition for outstanding achievement, to one Boucher student each month on behalf of the student body, faculty, & the BNSA. Nominations are accepted on a rolling basis. Click on the nomination form at the top of the page to recognize your outstanding peers!